To complement the NT Live performance of ‘All About Eve’ from the West End, we bring you a rare opportunity to see the 1950 Bette Davis classic on the big screen. 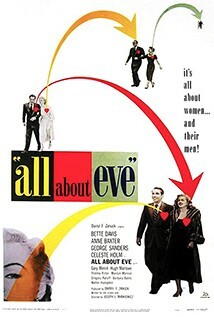 This is an elegantly bitchy backstage story revolving around aspiring actress Eve Harrington (Anne Baxter). Tattered and forlorn, Eve shows up in the dressing room of Broadway mega-star Margo Channing (Bette Davis), weaving a melancholy life story. Taking pity on the girl, Margo takes Eve as her personal assistant. Before long, it becomes apparent that naïve Eve is a Machiavellian conniver who cold-bloodedly uses everyone around her to rise to the top of the theatrical heap. This is not only a brilliant and clever portrait of an actress, it is a downright funny film, from its opening scene to the final fadeout. Look out for the Marilyn Monroe cameo.